If you are planning to go to the Visayas region, you should familiarize yourself with the most common ways the locals would prepare their food. When you familiarize yourself with the most common food you can eat in the Visayas region, it is easy for you to order or tell the locals what you want to eat. Whether you are a tourist or not, you should try local cuisine as part of culture appreciation. It is bad practice to visit a different country but insist on eating hotel food or fast food. That's no way to appreciate local culture. So when you are in the Visayas, specifically Cebu, you need to know this word: SU-TU-KIL. Anywhere you go, you will find Sutukil restos and eateries in Cebu, because these are the three most famous food preparations in Cebu. So what is SUTUKIL? Sutukil is a combination of 3 words. "Su" is the first two letters of the word 'sugba.' Sugba means "to grill." 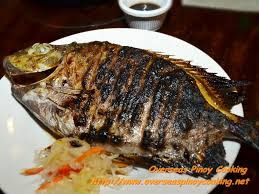 You can grill almost any kind of food, but the most common is the 'sinugbang isda' or 'grilled fish.' Since Cebu has many coastal towns, there are many fresh seafood, like fish, oysters, clams, shrimp, crabs, etc. There is an abundance of salty water fish, and salty water fish is more tasty than freshwater fish. The most common way people prepare 'sinugbang isda' is simply to make a few cuts (not totally slicing the fish) on the fish's body, just like what's shown in the photo, Prepare soy sauce (toyo) squeezed with green lemons (limonsito) as dip. And then eat 'kinamot' (using hands) style. 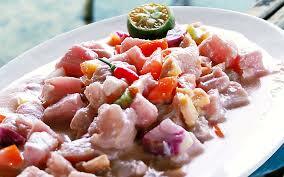 I swear, you'll be licking each finger and salivate every time you imagine a "sinugbang isda." Let's now go to TU, tu is the first syllable for the word tuwa or tula. Tuwa is a simple soup dish which is kind of sour, because of ingredients like tomatoes (tamatis), onions (bombay) and other leafy veggies. It is very easy to prepare. You simply boil water that is proportional to the fresh seawater fish you would put in. 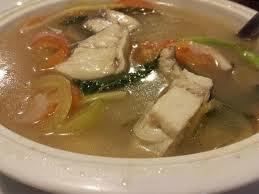 Once it boils, put in onion, tomatoes and leafy veggies like 'kamunggay' and let it simmer and that's it. Tuwa is best eaten piping hot, and during bed weather. It's almost like the chicken soup in the west. sutukil and you will never go wrong and people can easily understand what you are talking about.